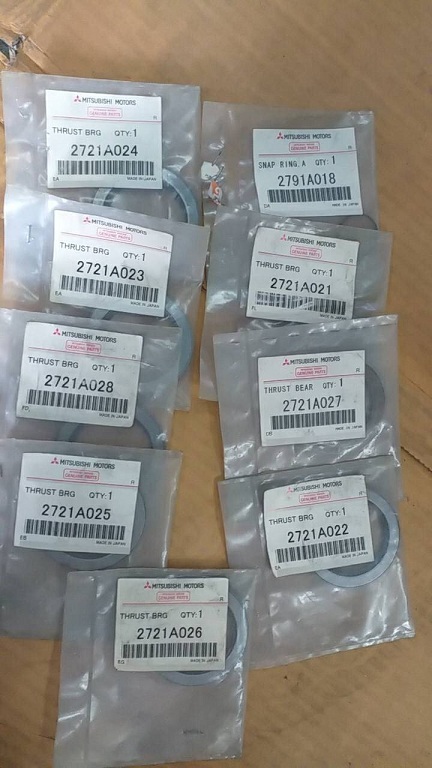 Placed my order on the selective bearings and they are on the way......from Thailand. Shipping was like $98 but these are among the most difficult parts to order. I found the SKU on the back of the ATSG rebuild handbook. They are non-available in the U.S. but available in Japan, sometimes on backorder. I'm starting to look at the differential and transfer gear taper bearing replacements, should be fun. I need to order the taper roller bearing off of the front transfer case to see if it fits in the CVT differential (i.e. big bearing), since there is no direct replacement for it that I could find. The final part will be the valve body rebuild but the WIT rebuild kit has all the seals, internal filters, balls, etc. for a complete overhaul. That part will take some time but it'll basically provide the full overhaul of the transmission. 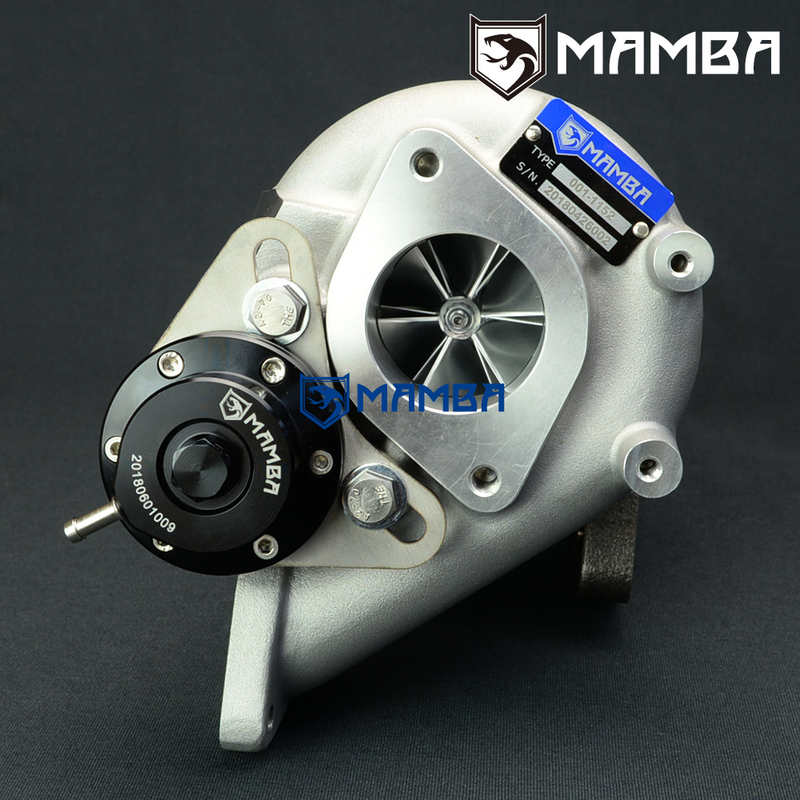 I'll then be ordering up the upgraded turbine for the Mamba 19T. 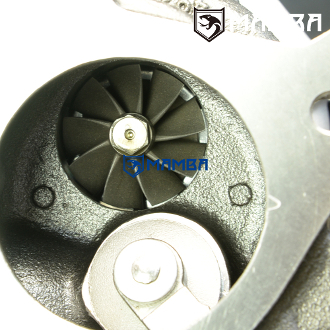 Apparantly they are now sold with the higher flowing 9 blade turbine so it seems to be the upgrade worth having. I cant find the pic of my turbo of the exhaust side. My Intake wheel is the same as this pic. Wonder if I actually have the 9 blade or not. 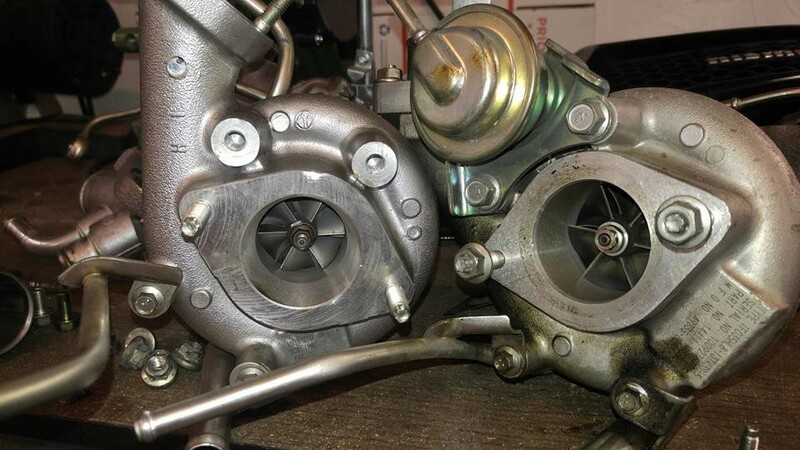 My Mamba Cored turbo is on the right. My OEM is on the left. Dont forget about this Mod. I was thinking of mounting a less restrictive Inlet and outlet on my Juke. It cannot hurt thats for sure. I just dont know which ones to order. Haven't been on in a long time due to drain of working two jobs. Late last year started a single better job, so finally can get back to catching up with this thread again. Really happy to see you are still deep diving with this stuff. Doubt the wheel is 9 blade, came out within the last year maybe. Mine will require a rebuild kit and retrofit, but it looks like a direct swap based on the wheel dimensions. That and the intake bell/compressor outlet the turbo would easily crack 300 w.h.p. with the higher tension waste-gate. I won't push it nearly as hard unless I can get ECUTEK to push the rpm rev limit up higher to where I can take advantage of the extra airflow on top. The new mamba is the best 19T setup there is. 6+6 intake and 9 blade exhaust side. This was what my turbo guy was gonna build me. No way of knowing unless I take off the down pipe. Thats not hard. Or I take off the O2 sensor and run my boroscope up. Either way. Gonna do the inlet outlet and see what happens. Agreed, it's a nice little bump in performance that makes it a real attractive setup. Most guys do not need more than 300 w.h.p., nor can the engine take a ton more than that anyway stock. It's a nice balance of a bolt-on turbo for those guys who want simple. I could care less about a welded header manifold to mount a bigger turbo, I like my stuff reliable and simple. The 3" inlet bell is going to require MAF scaling/recalibration and I'm dreading that. But it'll hugely benefit with a custom MAF inlet pipe. I gotta get working on that but I'll wait until everything else is buttoned up. Why is that. 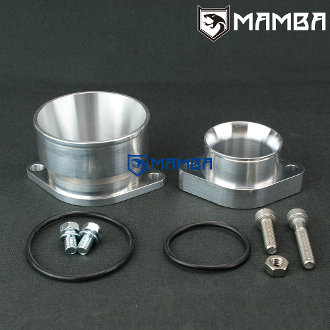 The Maf is well before the inlet and the pipe size is larger then scaled for the maf then larger on the Injen SRI. NM you are saying a custom MAF pipe too.